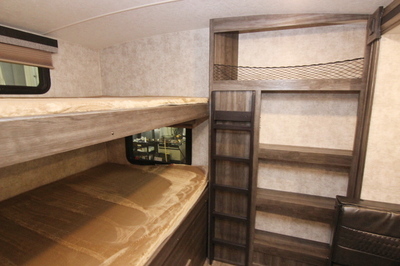 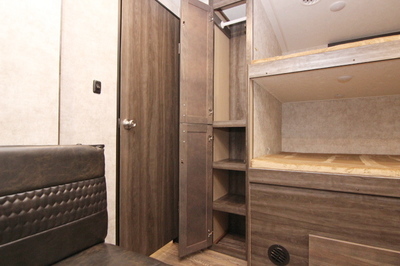 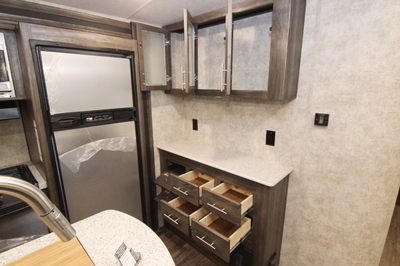 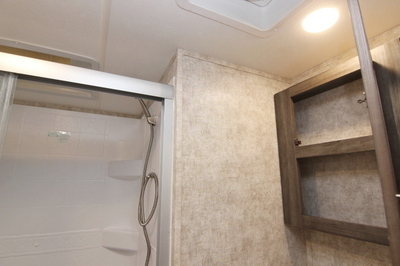 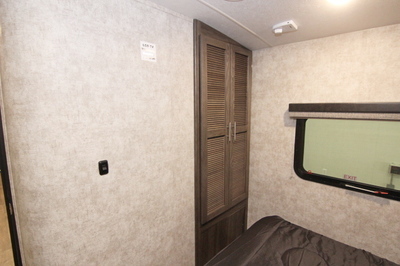 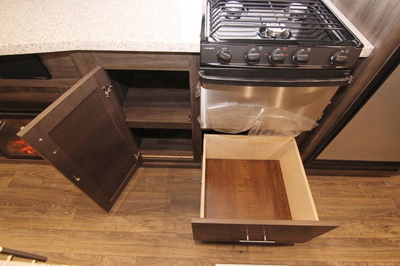 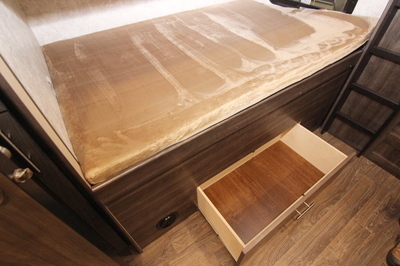 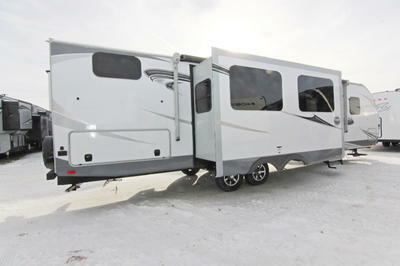 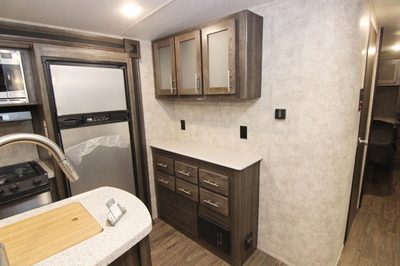 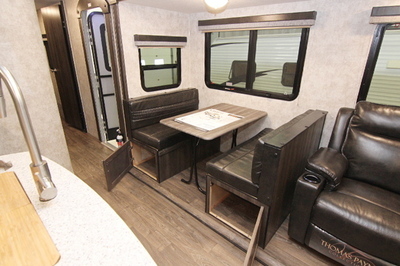 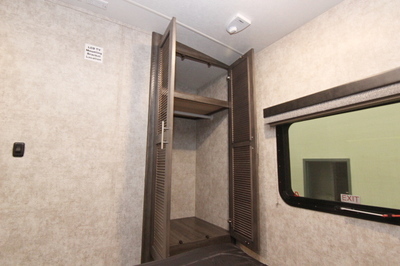 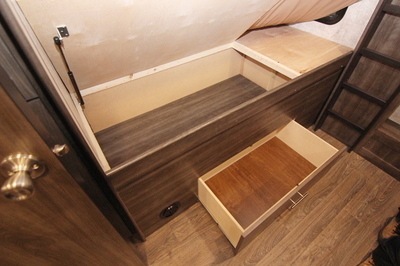 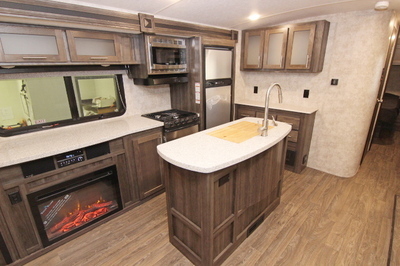 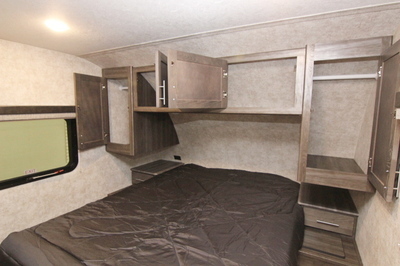 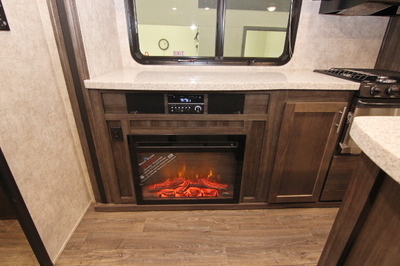 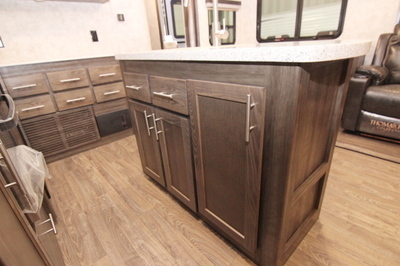 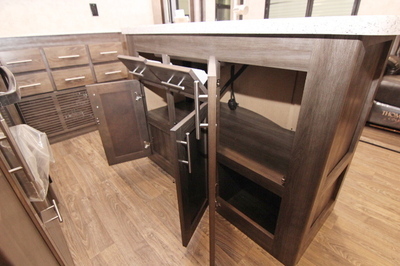 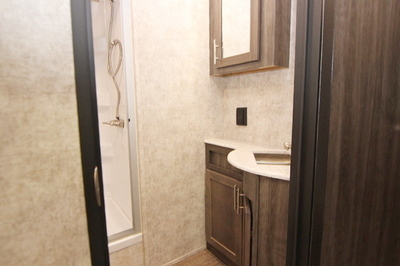 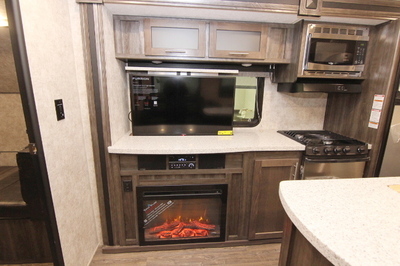 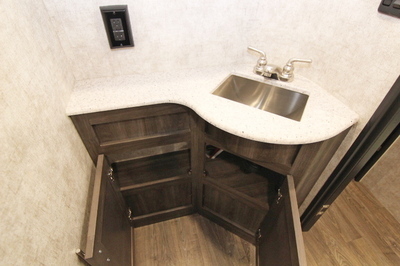 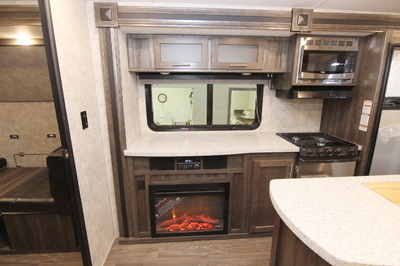 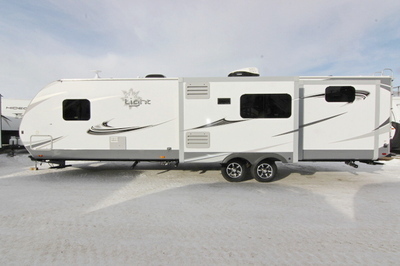 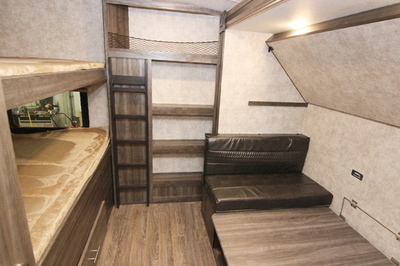 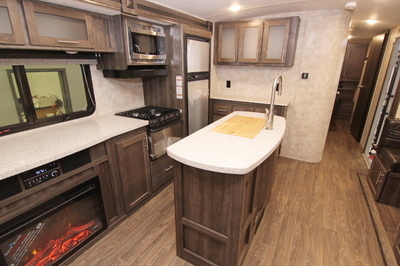 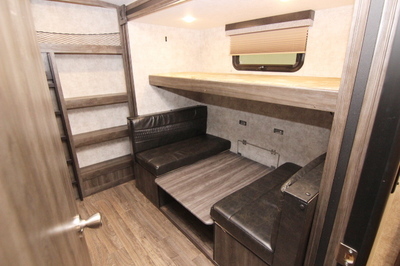 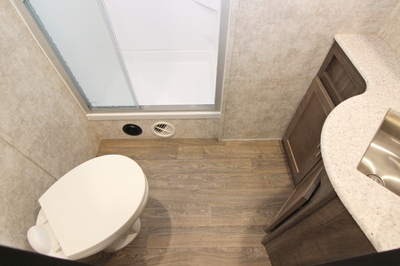 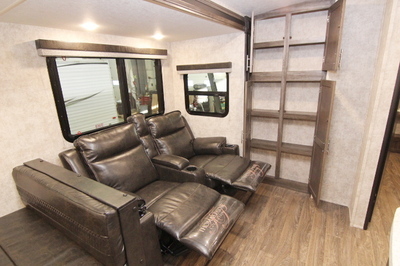 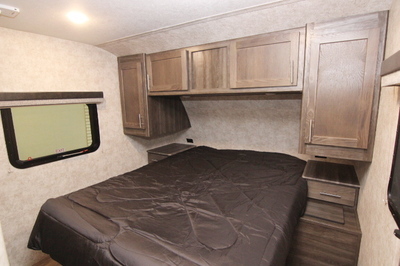 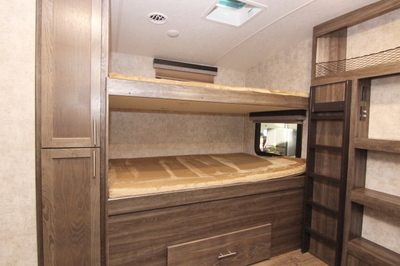 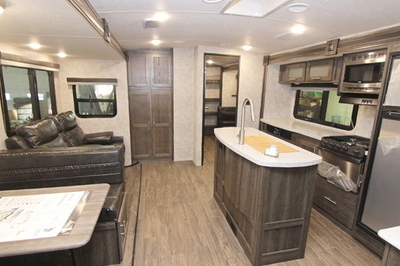 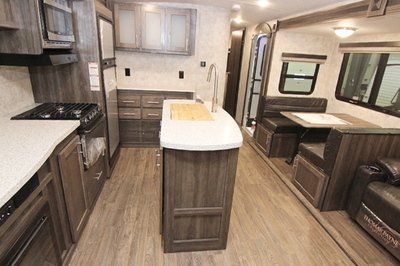 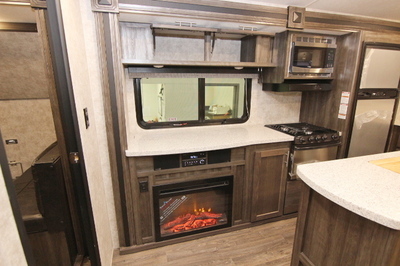 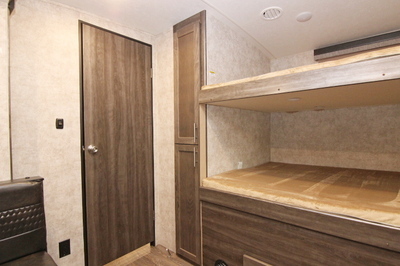 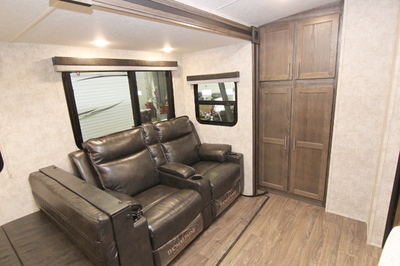 Packages and Upgrades Included with this Unit:- Booth Dinette, Rear Bunk Room, Outside Kitchen, Platinum Package, Customer Convenience Package, 15K BTU Ducted Air Conditioning IPO 13.5K, BBQ Grill w/Bumper Bracket. 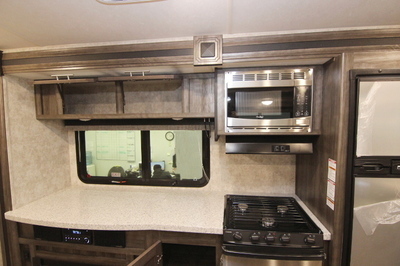 Platinum Package:- 13,500 2nd A/C Quiet Residential Return, 26” Full Width Entry Door, Aluminum Tread Entry Steps, Frameless Windows, Power Awning w/LED Light and Integrated Speakers,Prepped for Observation Camera, 39” LED TV, Digital TV Antenna, Stereo/CD/DVD Player w/Bluetooth, Hardwood Cabinet Doors, Lino Throughout Main Living Area &Slide Out (No Carpet), Skylight(s) – Kitchen and Bath, Theater Seating w/Heat& Massage, Solid Surface Countertops In Kitchen, Stainless Steel Appliances, Stainless Steel Sink w/High-Rise Faucet, Quick Recovery Gas/Electric Water Heater, Porcelain Toilet w/Foot Pedal Flush, Radius Corner Shower w/Glass Doors. 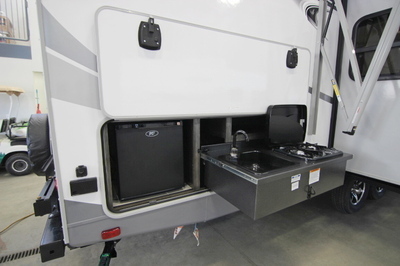 Customer Convenience Package:- Fiberglass Front Cap, Outside Docking Station, Power Landing Gear, Prepped For Portable Solar Panels, Roof Access Ladder, Spare Tire w/Bracket & Cover, Thermal Package, Sink Cover(s), Battery Disconnect Switch.